Long, raglan-cut sleeves with color and print blocking. "Never a rainbow without a little rain" along the front. Trim: 97% cotton, 3% elastane. 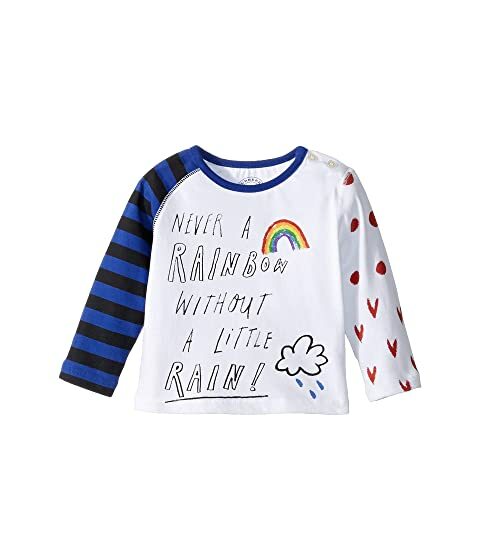 We can't currently find any similar items for the Tomasa Long Sleeve Tee (Infant/Toddler) by Burberry Kids. Sorry!